Apex Leadership Co will be at our school from 4/16-4/26! 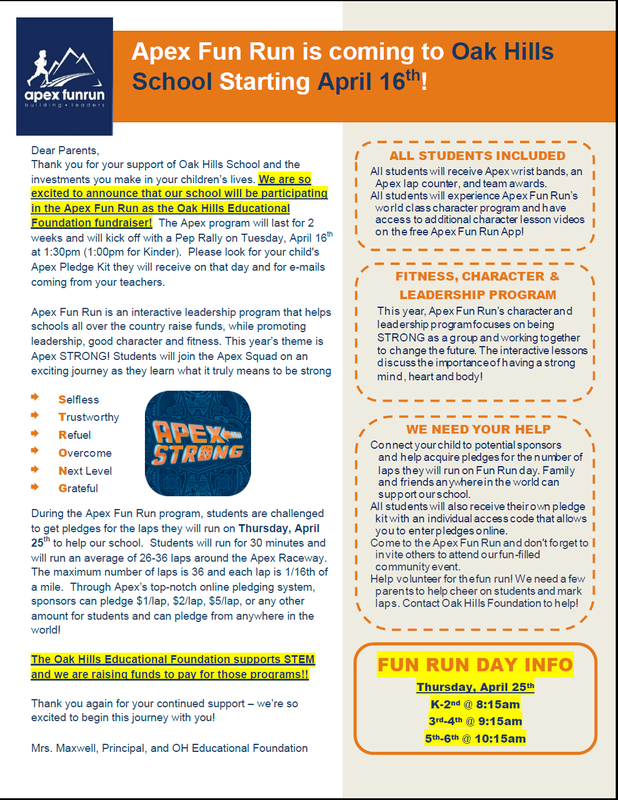 We're so excited to tell you about our Foundation Fundraiser supporting STEM programs at Oak Hills, Apex Fun Run! Apex Leadership Co. is a local company that will be on campus for 2 weeks teaching our students about leadership and fitness. pledges for the laps they will complete on the event day. Funds raised this year will be used to pay for STEM Programs. What has APEX taught us so far? Would you like to help out at the Fun Run? The kids would love your support!